Do you avoid visiting us regularly? If so, we encourage you to schedule an appointment. We examine your teeth for cavities and gum disease, which can cause further problems when left untreated. We’re also your first line of defense against oral cancer. In honor of April being Oral Cancer Awareness month, we’re focusing on educating our patients about the disease. We’ll explain what oral cancer is, how it’s treated, and why screenings are so important. Oral cancer appears as a growth or sore in the mouth that doesn’t go away. It includes cancers of the lips, tongue, cheeks, floor of the mouth, hard and soft palate, sinuses, and throat. If left untreated, oral cancer can be life threatening. Anyone can get oral cancer. But, this type of cancer is more often found in men who are over the age of 55. Risk factors that increase the likelihood of developing oral cancer include a history of smoking cigarettes, chewing tobacco, poor nutrition, heavy drinking, and human papillomavirus (HPV) infection. Examine the lining of your cheek tissue, looking for suspect spots. 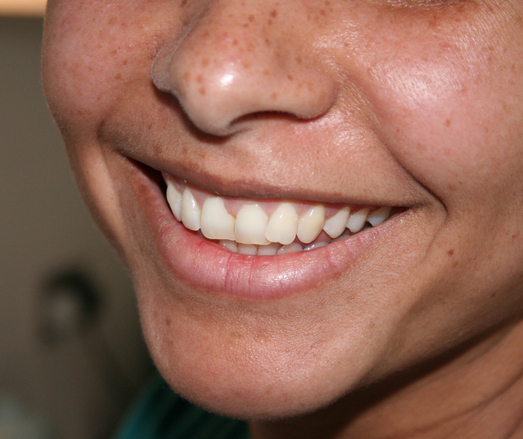 Probe your gums to identify patchy or rough spots. Inspect the roof of your mouth for abnormalities. Check your neck, face, and jaw for irregularities. In some cases, we may perform a brush biopsy. During this painless procedure, we’ll gently rotate a brush along the suspicious area to collect cellular material. This material will then be transferred to a slide and sent to a lab for analysis by a pathologist. Why Is Oral Cancer Screening So Important? Oral cancer is the 6th most common form of cancer, and it has a high mortality rate with 50% of oral cancer sufferers dying within 5 years. Despite the statistics, there is hope. Patients have a much greater chance of surviving oral cancer the earlier it’s discovered. Early detection is one of the most important tools we have to prevent oral cancer from worsening, and dentists are the only medical professionals who routinely screen for oral cancer. For this reason, it’s important that you see your dentist for regular checkups. In fact, a dental checkup just might save your life. What Happens If I Have Oral Cancer? Most often, oral cancer treatment involves surgery and radiation. Chemotherapy is often added to decrease the possibility of the cancer spreading. If we have detected oral cancer we will refer you to an oncologist who will lead your treatment plan. Your treatment plan will often consist of more than just an oncologist. Ideally, you’ll have a team of many health professionals managing your care. These may be surgeons, radiation and chemotherapy oncologists, dental practitioners, nutritionists, and rehabilitation and restorative specialists. Working together, this medical team will ensure you receive the best possible care. Knowing the dangers of oral cancer is why we always do a thorough screening. If you would like to learn more about this health risk, feel free to ask at your next appointment! To schedule, click here to use our online appointment request form, or call us at 978.598.7899.